Before photos of the project area before tree removal. After photos of the play field after the tree removal that was claimed necessary as part of the soccer field renovation. The soccer field renovation has been completed for some time now and the new resource is actively in use. Here are some recent photos (as of July, 2009). Something lost but clearly gains as well. 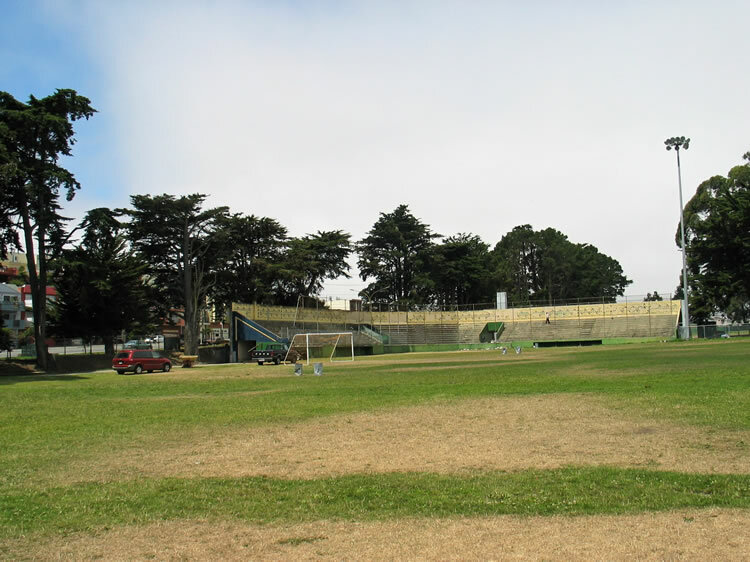 As a postscript, recent research seems to suggest that Monterey pines, which were extensively removed in the course of rebuilding the soccer fields, seem to have some ability to respond and overcome the pitch canker disease which has plagued the species in recent years. It was the presence of this disease which served as partial justification for the removal of many mature trees in the course of constructing the new soccer fields and which removal and the limited notice provided, concerned many local residents.